Destination birthday invitation. 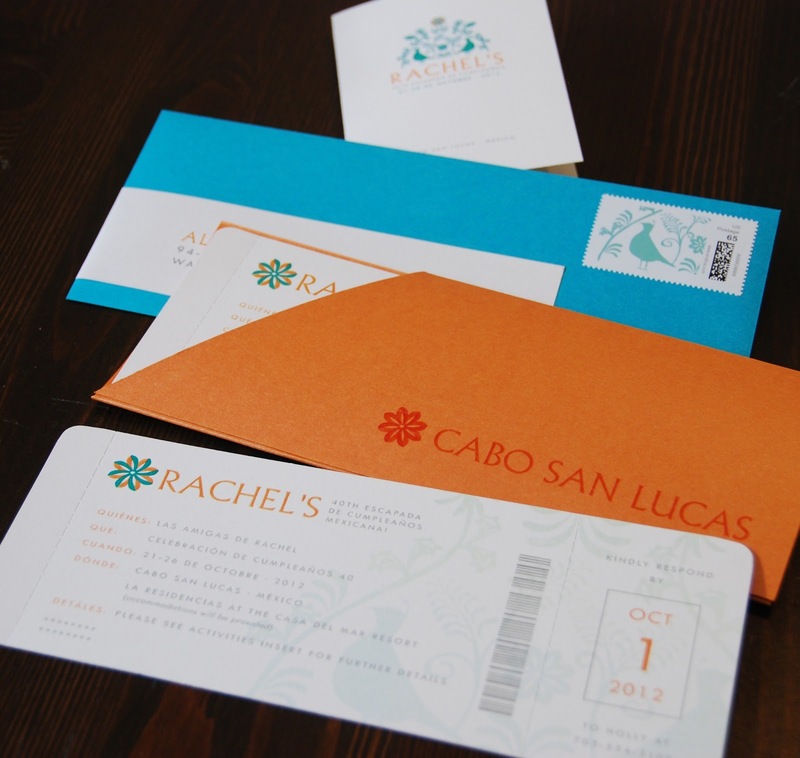 Boarding pass with jacket, turquoise envelope and custom postage. Custom illustrated bird motif.